There is a phrase in the lives of community associations guaranteed to make the blood run cold – Special Assessment. Property managers and boards of directors fear it, and homeowners are usually angered by it. The most common initial reaction from those affected is to find someone to blame. It has to be the fault of management, who ignored maintenance, the board of directors who didn’t budget enough to cover routine repairs and replacements, or the consultant who recommended a needlessly expensive remediation program. It’s not always that simple and even if it is, so what? The fact remains homeowners will have to pony up or get used to living with the leaks, rotted wood, potholed pavement or whatever conditions are involved. The second option is short-sighted and will only add to the problem, so the only real option is to develop a workable strategy and sell it to the owners. The first step is to identify and quantify the problems and define appropriate remedies. These should be done by someone who wouldn’t financially benefit from the outcome. Qualified, trustworthy contractors could do a competent job, but could be viewed as having a vested interest and their findings could be dismissed by some for that reason. Independent consultants aren’t automatically more believable, but there’s certainly less potential for a conflict of interest. The next (and arguably most critical) issue is effective communication. Once it’s been established that a major project is necessary, the ownership should be informed and a special meeting should be convened to present it to them. The individual(s) who investigated the problems and defined the repairs should present their findings and provide exhibits (photographs, drawings, etc.). There will be questions (often pointed) and accusations should be expected. Patience, tolerance, and understanding on the part of the targets are critical. When possible, projects should be structured to minimize financial hardship. In some cases, projects could be phased over a number of years, allowing for assessments to be paid in installments over that period. If a project doesn’t lend itself to a phased approach, it could be advantageous to obtain a loan, which would also permit payment in installments. Reserve studies by competent professionals will help prevent the need for special assessments, but if they aren’t done early and often, or if funding recommendations are ignored, the potential could be high. Even with conscientious inspections major problems (such as latent defects) can develop without visible symptoms many years after construction. 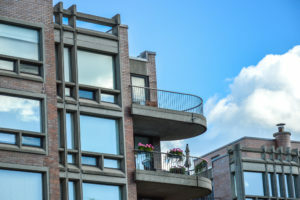 Buying a home in a condominium differs in a number of significant ways from buying one in an independent “neighborhood.” Condominiums (in fact all community associations) have by-laws, covenants, and budgets, to which you will be bound as an owner. An examination of the associations’ documents (especially the budget) is essential. Operations are obviously funded by unit owners and your share could be considerable. Monthly assessments can approach, or even exceed mortgage payments. A reserve study should have been performed within the last three to five years and they should have been provided as part of the sale packet given by the seller. If not, be wary. In some jurisdictions (such as The Commonwealth of Virginia) they are mandated for specific intervals. The Federal Housing Administration (FHA) requires reserve studies every two years for certification and they won’t underwrite loans for first-time buyers in uncertified associations. Reserve studies can be difficult to interpret for the uninitiated. Nonetheless, there are things to look for. Reserve studies should be performed by qualified organizations, based on engineering or architectural criteria. Reports with discussion of the involved elements are preferred over simple tables. Most community associations fund by the “cash-flow” method, which should cover a minimum of twenty years. There’s no simple formula for funding reserves, but lenders have tightened requirements and may deny a loan if annual funding is less than ten percent of the total operating budget. There should be some discussion from the author regarding the adequacy of reserves funding. There may also have been engineering studies performed to evaluate specific systems and/or investigate problems. Disclosure laws usually require that they be provided to potential buyers. There are differences, beyond the obvious, between older and new condominiums. In Part 3 to follow, we’ll go over some that should be considered. During any construction or renovation project (interior or exterior) it’s important to consider Indoor Environmental Quality (IEQ), particularly air quality. Construction practices can introduce noxious fumes, dust, and other unhealthful contaminants. A key to maintaining good indoor air quality during construction is to implement an Indoor Air Quality Management Plan (IAQMP). The Sheet Metal and Air Conditioning Contractors National Association (SMACNA) and other organizations have published guidelines for such programs. Presented below are some items to consider. HVAC protection – For some activities, it could be necessary to seal off ducts and air handling equipment, or install temporary filters. It could also be beneficial to clean ducts at the end of the project, particularly if the work produced a lot of airborne solids. Improper efforts to control introduced contaminants can contribute to other air quality problems, such as reducing exchange of stale air for fresh and/or cause damage to HVAC equipment. 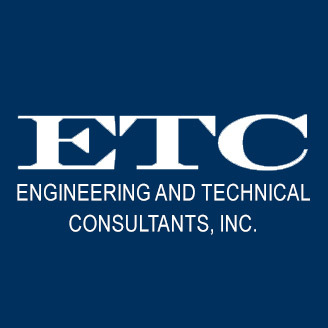 Accordingly, a mechanical engineer or other qualified professional should be consulted before HVAC systems are sealed, turned off, or disconnected. Source Control – Wherever practicable, materials with low toxicity and volatile organic compounds (VOCs) should be specified. Work areas should be adequately ventilated. Pathway Interruption – Where possible, temporary barriers should be erected to isolate construction areas, and minimize dust accumulation on stored materials. Housekeeping – Jobsite cleaning should be performed throughout the project, not just at the end. Wetting agents or sweeping agents can be used to control dust. Scheduling – Where possible, coordinate installation of building materials to reduce introduction of fumes, dust, etc. into interior spaces. Maryland Mold Remediation Services Act Beginning in July 2013, the State of Maryland will enforce The Maryland Mold Remediation Services Act, which will require all contractors that perform mold remediation on private homes (includes the interior, non-common areas, of Condominium units) must be licensed to perform mold remediation service by the Maryland Home Improvement Commission (MHIC). This is a different license than a typical contractors license. Additionally, each employee who provides mold remediation services must be properly certified as a microbial remediation technician or supervisor by an organization such as the Council for Accredited Certification. Finally, any contractor that provides mold remediation services may not provide mold consulting or develop the mold remediation plan and vice versa. This eliminates the classic “fox watching the hen house” situation when it comes to mold assessments and clean-up projects. We would like to thank Susan White of Sussex Environmental Health Consultants for making us aware of this new requirement. Legal requirements notwithstanding, reserve studies are essential to responsible financial planning and a reserve study can only be accomplished by physical inspection of the common elements of a community. You can buy reserve study software wherein you fill in some blanks and it disgorges an annual contribution, but it would be imprudent to assume all systems are “typical”. The five-year period cited in the Virginia statute should be adequate for most communities. Three to four years would be better, particularly for older and/or more complex associations. More and more synthetic materials are being used in the building trades. Vinyl siding, PVC pipes and their like have been around long enough that we know how they behave, but there are things about other products (cellular PVC trim boards, composite deck planks, etc.) that are not as widely known. * Synthetic trim is not a direct replacement for wood. PVC (even cellular PVC) experiences far more thermal movement than wood and attachment provisions could differ from wood, depending upon a number of factors. Manufacturers could require extra fasteners and adhesives for certain configurations. * Synthetic trim won’t rot, but it can degrade when exposed to the elements. Painting is recommended for some and required for others and there are considerations apart from adhesion and compatibility issues. Because of the elevated thermal expansion of plastics, certain colors are not recommended for exterior applications. Dark colors absorb more thermal energy from sunlight and the resulting rise in temperature will exacerbate movement problems. White is generally the best choice. *Synthetic (composite) decking will not usually have the same strength as wood and its span rating is usually reduced. If you replace wood with composite, it may be necessary to add floor joists or other support. These are just a few things to consider when dealing with synthetics. You should always consult with the material manufacturer before using, modifying or treating these products.